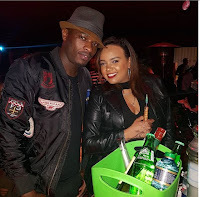 Home / Entertainment News, Videos / DENNIS OLIECH back to balling, he is now flying in choppers after mouth-watering deal with GOR MAHIA(VIDEO). DENNIS OLIECH back to balling, he is now flying in choppers after mouth-watering deal with GOR MAHIA(VIDEO). Monday,February 4, 2019-Dennis Oliech is back to balling after landing a mouth watering deal with Gor Mahia. In the deal, the former Harambee Stars striker was given a down-payment of Ksh 3 Million and on top of that, he will be earning a monthly salary of Ksh 350,000 for the next two years. Before landing the deal, Oliech had gone broke and spent most of his time chewing miraa at Dagoretti corner. But these days, he is rolling like a boss. Check out video of the football star flying for a vacation in a chopper.